Psygnosis play what they call "Extreme atmospheric metal" and honestly, I can not think of a better term for it. Usually when you think of atmospheric metal it calls to mind doom, blackgaze, or depressive black metal projects, with maybe a little prog in there. It is thus shocking to realize that asides from a few progressive elements, Psygnosis almost completely eschew the traditional take on atmospheric metal. What is the end result of this? Human Being the second record from a band who seem poised to take on the world with a wholly unique sound. The thing that impresses me the most with Psygnosis is the sheer power of their music. 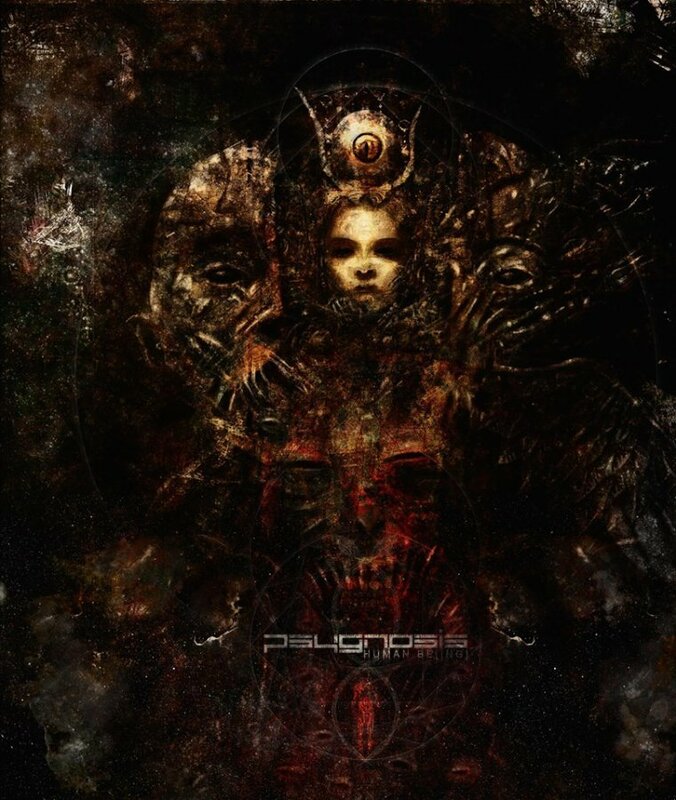 While not a doom metal group by any means, that is the only genre I can compare Psygnosis to in terms of pure heaviness. This may be atmospheric metal, but make no mistake, Human Being was written to be played at maximum volume. The way that Psygnosis contrast pure undilluted rage with something much more chilled out and ambient is beautiful. Perhaps the best example of this comes on the albums seventh and final track, Hurricane. Here Psygnosis put forth some of their best work to date with stunning transitions and some incredible heavy music raging in brief interludes throughout. Human Being is if nothing else, a very, very unique record. With spoken word sections, a mix of cleans and growls, and a variety of tempos that is almost impossible to find anywhere else Psygnosis have managed to produce something truly special. You may look down on and cast aspersions upon metal of this sort, yet I assure you Psygnosis is really something else. Anyone who loves extreme music will be able to find a strange sort of solace in the unmitigated chaos and tightly controlled beauty of an album that in seven tracks says both everything, and nothing.